Morningstar's former man in New Zealand is developing a service that will help financial advisers construct portfolios from the range of managed funds available in New Zealand. Investment support firm MyFiduciary, of which Chris Douglas is now principal, is planning to launch MyFiduciary Model Portfolio Service over the next few months. To raise awareness of the upcoming offering, it has partnered with Heathcote Investment Partners to develop model portfolios showing how its array of boutique funds could be used to execute investment strategies for clients. 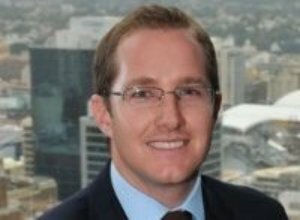 Heathcote director Clayton Coplestone said his firm had had a lot of people ask how the funds would work together and the role they might play in a portfolio. MyFiduciary had put together five options across different risk profiles to show how the funds could be used for different clients. Any gaps were filled with passive investment options. Douglas said it was important that investors and advisers understood what role a fund was going to play in a portfolio. People might do analysis of why they would choose a fund but not understand how the way it worked with the rest of the portfolio could create disappointing outcomes. "They need to have these things in mind, identifying the biases they have in their portfolio and what that means in terms of return expectations." Douglas said advisers could fall short through not having a robust asset allocation framework that took into account local factors. "It’s important for advisers to think about the impact of currency on portfolios for example and how the NZD impacts their investment decisions." He said MyFiduciary already did model portfolios for adviser clients and was going to produce the new service for the wider adviser market soon, providing portfolios based on domestic funds and Australian offers that were available here. The service would launch within the next few months. Coplestone said it was a challenge for advisers to pick through the noise in the market. "My observation was there's not as much due diligence going on. People don't have the tools and time - having something ready saying you can pick some of this and that to give you this outcome [is helpful]." He said the models would be refreshed in six months' time.